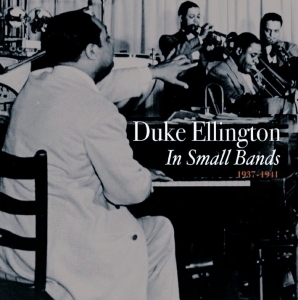 Duke Ellington was no exception when it came to small band recordings featuring musicians from his touring and recording orchestra. Unlike most of his contemporaries, though, Ellington chose to design his small bands around one or more soloist and instead of using his own name as leader had the recordings released under the soloist's own name. This selection features five major players from the Ellington Orchestra and the 25 tracks on this compilation represent only a fraction of the many small band recordings Ellington produced during the 1930s and '40s. Tracks include "Tea And Trumpets" ( Rex Stewart and His Fifty-Second Street Stompers), "C-Jam Blues " ( Barney Bigard And His Orchestra ), "Echoes Of Harlem" ( Cootie Williams And His Rug Cutters) , "The Jeep Is Jumpin" ( Johnny Hodges And His Orchestra) and "Cherry" ( Rex Stewart's Big Seven).